Allen Tan has been in the business of mobile apps since 2010. He has also authored tutorials and e-books related to game development. In 2015, he founded Monstronauts, an independent studio where he and his team work on games all day long. 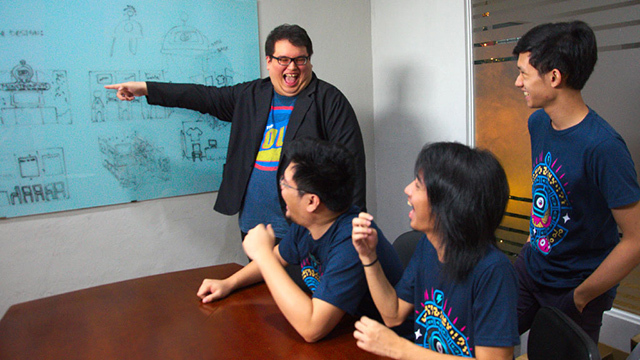 Monstronauts is a Google app developer in the Philippines, having created world-class and original games for desktop, web and mobile platforms. 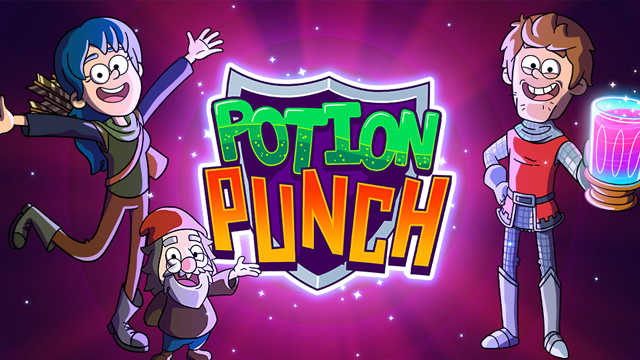 Its game Potion Punch already has five million downloads on the Google Play Store and counting. Before he started creating games, however, he was actually supposed to be studying Mandarin. Instead, he got interested in coding. Tan said he liked both playing and making games as far as he could remember. When he was in grade school, he used to make his own paper-and-pencil games, which his classmates would play together with him. “My interest naturally went to video games, and I dreamed of one day making my own, even though I considered it impossible at the time,” he said. He studied Computer Science in college and found himself enjoying projects related to games. However, he still considered a serious game development career as impractical. It wasn’t until the advent of smartphones that he rekindled his interest in game development. With smartphones came new technologies, tools and platforms that made it easier for small developers to create games on their own. “Suddenly, game development became more accessible than ever, so I left my corporate job, re-learned how to code and started on the path to where I am now,” Tan explained. Before creating games, he wrote tutorials for raywenderlich.com from 2012 to 2013. Back then, he was an avid reader of the site because that’s where he learned how to make apps and games. “One day, I saw an opportunity to write tutorials for Ray, the owner, in one of the online forums I frequented at the time. There wasn’t much pay but I saw it as an opportunity to get exposure while learning at the same time,” he recounted. In 2012, he wrote a three-part tutorial on How To Make a Game Like Fruit Ninja, and followed it with a two-part tutorial on How To Make A Side-Scrolling Beat ‘Em Up Game later that year. They expanded the latter, packaged it into a 300-page book called the Beat ‘Em Up Game Starter Kit and released it in early 2013. They bundled it with two more books in the series written by other developers. They sold 450 copies for three years. After updating the book for a second edition, Tan stopped writing by mid-2014 because he found it tough to juggle a startup with his writing duties. “I wanted to focus more on making games. Looking back, I believe I was really fortunate to have been given the chance to write for the site. The benefits weren’t obvious at first, but it kickstarted my career in game development. Not only that, the royalties I got for the book also helped me get by while our studio wasn’t profitable yet,” he said. 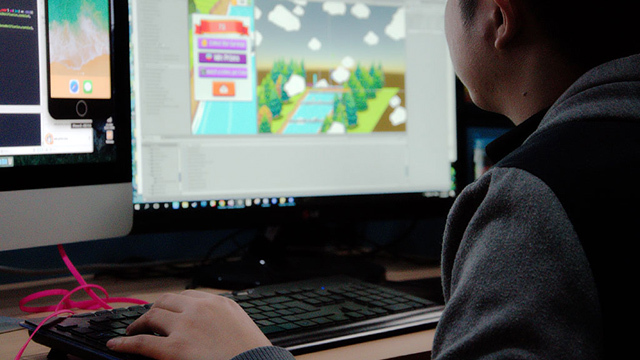 Immediately after releasing his first tutorial, Tan got inquiries from prospective clients asking him to develop a game. Though he didn’t earn much from writing that tutorial, the types of clients he got because of it paid generously. “Opportunities just kept on falling into my lap one after the other. I learned just how good exposure can go a long way,” he said. He used his earnings to bootstrap his first startup with the goal of creating original games. It wasn’t Monstronauts yet, but a different studio that made apps and games for international clients to fund itself. Tan found a business partner and they set up an office in a small condominium unit. They hired their first employee and grew their business from there. That startup grew to 14 people strong before splitting into two. In 2015, Tan formed Monstronauts. He decided to forego working on apps for other clients and focus instead on making their own games. As expected, the beginning of Monstronauts was difficult. “We already had the right team to make games, but still, there were bigger challenges ahead. The biggest one was about visibility. Apart from us, no one knew we existed. We had no brand, no games, no players and no partners,” he said. “If we didn’t act quickly, it would have only been a matter of time before our studio would close down. Thankfully, that didn’t happen. We’re still here!” Tan added. He doesn’t remember doing anything special. They just acted quickly and kept on going. “Our plan was to simply make a game that we could learn from—that game became Potion Punch. It didn’t have to be perfect and it wasn’t. In fact, our initial release was a failure,” he said. The company took eight months to make that game, and they got just around 100 downloads per day or less. “We were happy regardless. We now had a game we could show to the world. We were officially game developers,” he said. They continued working on the game and made a few improvements. With a game in their portfolio, finding partners and expanding their connections became easier to do. A lot of people from the local industry also helped them along the way. Industry friends gave them advice, while others helped them reach a wider audience. “A few months later, our game was getting thousands of downloads per day, and we were generating enough revenue to sustain the company,” he said. “My biggest takeaway here is that to make a game successful, you need great people and strong relationships. 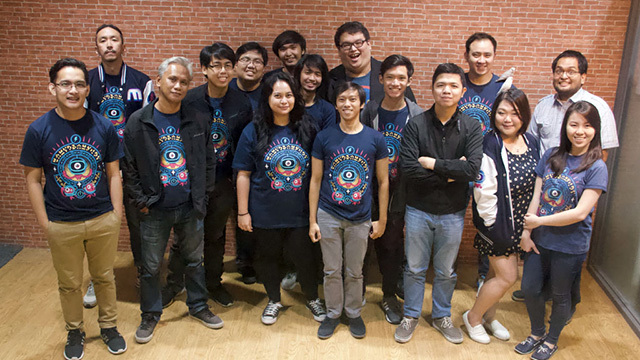 From the team, to our partners, and to our industry friends, there were a lot of people involved in Potion Punch’s success,” Tan said. Aside from Potion Punch, Monstronauts also created Pocket Arcade, Rowan McPaddles and OreBits. 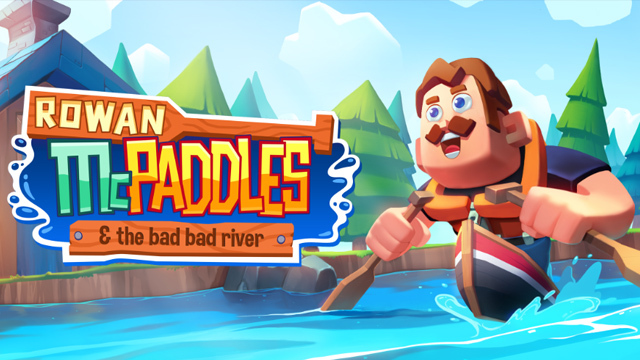 Relatively simple, tap-type but exciting, the games are available on platforms such as iOS, Android and even Apple TV for Rowan McPaddles. Tan added that it’s hard to predict whether a game will be well-received before it comes out, but they take steps to minimize the risks. “During production, we do a lot of testing and iterations to ensure that our games look beautiful and are fun to play. It’s not an exact science, but as long as we can empathize with our players, then we can provide them with an optimal user experience,” he explained. After release, Monstronauts monitor player feedback and behavior. Tan and his team often talk to players regarding their experiences with their games, showing them the human side in the process. They incorporate some of the feedback, add in new features to keep players engaged, overhaul stuff that didn’t work and measure the results again. Their current approach helped the games achieve a combined total of nine million downloads with mostly positive ratings (six million for Potion Punch, and three million for Pocket Arcade). “Currently, we use the 'Freemium' monetization model. Our games are free, but we show advertisements and sell virtual content exclusive to each game. Doing it this way, we can ensure that there are no barriers to playing our games, allowing as many people to download them as possible,” he said. Tan also clarified that they don’t just randomly show ads or sell in-app purchases because they have to plan these things properly. “It’s part of our job to figure out how to get players to watch an ad willingly through proper placement and rewards, so that they get value for their time. Likewise, we have to ensure that players get value for their money when they buy virtual goods,” he explained. Monetization models are also changing, Tan said. Before “Freemium,” mobile games used to either just be “Free with Ads,” or “Premium/Paid,” not both. “Now we’re also seeing some free mobile games adopt subscription models where players pay monthly fees to unlock content and get benefits. On the other hand, premium PC and console games are now offering virtual goods through in-app purchases,” he said. 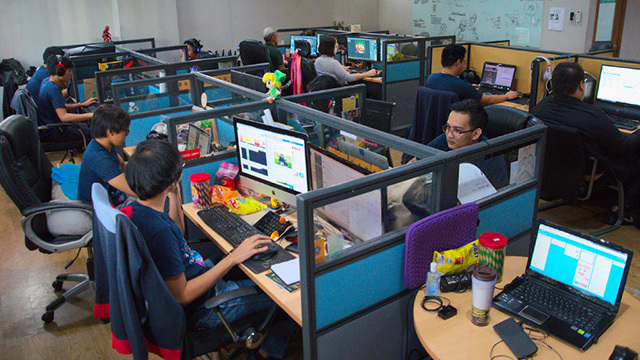 Tan believes the game development industry has a bright future in the Philippines. He mentioned the teams from Synergy88 and Secret 6 who have contributed to some well-known AAA (triple-A) games.